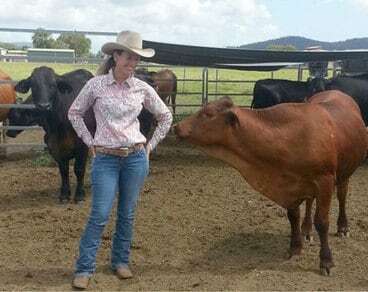 Long time clients David & Katrina Faust from Proserpine in north Qld are in the process of establishing a small mixed farming operation using biodynamic practices. “When we talk to people we are being encouraged at every turn. They are looking to select healthier food. We reckon there is an opportunity to keep bees, pasture beef, supply free range eggs, dairy fed pork and grow vegetables for a local market” David enthuses. I was delighted when they asked me for help with this exciting venture. They want to greatly diversify the pasture types and the area is small enough to allow the planting of further beneficial legumes, herbs and grasses. And their herd is small enough to feed a blend of herbs and other natural additives to improve their condition and vitality, and to use natural products, both fed & applied to address internal and external parasites. 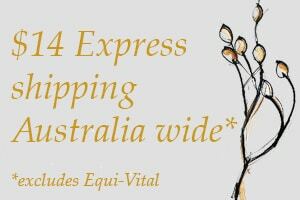 “We are familiar with the healing, maintenance and improving qualities of your herbal and natural recommendations in regards to our horses and we would like to extend those properties to a more natural approach to our wholesome food aspirations” Katrina explained. My first task was simply to make some suggestions for treatment for a Droughtmaster steer who had injured a front leg which he was carrying. After a little bit of encouragement he ate Devil’s Claw Root powder and Rosehips granules from a bucket and after 3 days declared he wanted no more and rejoined his mob, and is now 100% weight bearing. After helping Katrina with quite a few of their horses over the years, her beautiful young Quarter Horse Bid of Sweet Concent (Jaffa) presented us all with many challenges. 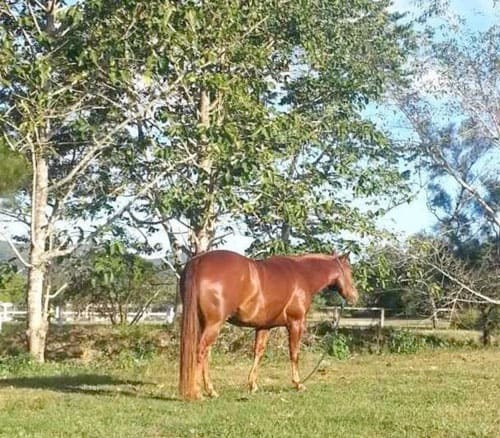 Katrina bred Jaffa – he is out of an imported cutting bred mare by Concenting who was twice Australian Quarter Horse Dressage Horse of the Year. 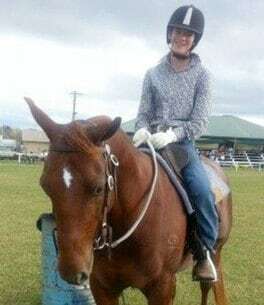 It has ended up as a success story with their 17 year old daughter Daisy competing on him this year in stock horse challenges, camp drafts and local shows. In June last year Katrina had competed him in a few camp drafts when his near fetlock blew up with an apparent sprain. I treated it and it came good, then suddenly blew up again & he was on three legs. 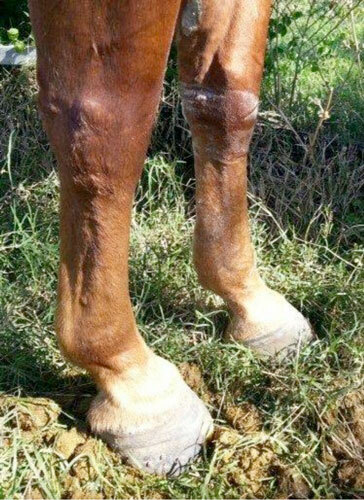 I suspected an infection in the tendon sheath & it was decided to seek vet treatment in Townsville. It turned out he also had major tears in the deep digital and superficial flexor tendons. 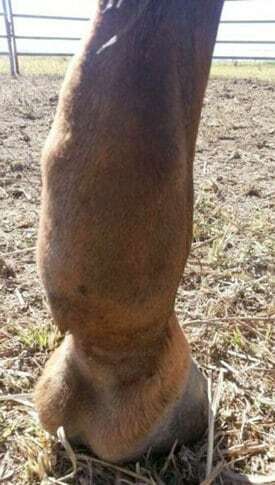 Brad Dowling operated on him using stem cell surgery and platelet injections, and after a fortnight at the vet clinic on box rest, he returned home & immediately re-started his herbal treatments. He was confined for another 8 weeks with 15 minute daily hand exercise and his progress was excellent. In October David and Katrina went away to Europe for a long overdue holiday, and it seems Jaffa galloped in the paddock and suffered a bleed to the area. On examination at the vet clinic he was diagnosed with adhesions but Brad was amazed at how well the surgery had healed which Katrina and David put down to his ongoing VF Natural Diet and his herbal treatments as well as the skill of the surgeon. Jaffa was put on a strict regime of hand walking to stretch the adhesions which Katrina religiously followed and in Dec after checking with Brad it was decided to start a gradual return to work program under saddle. All this worked very well. Katrina says she is also very lucky in having a great farrier Jeff Morton from Mackay. Katrina is very pleased that she persevered with him, despite the fact that she was offered $18,000 for him just before his injury. So overall a great result. Katrina is enrolled in the School of Equine Herbal Medicine and is planning to return to her studies as soon as she can.